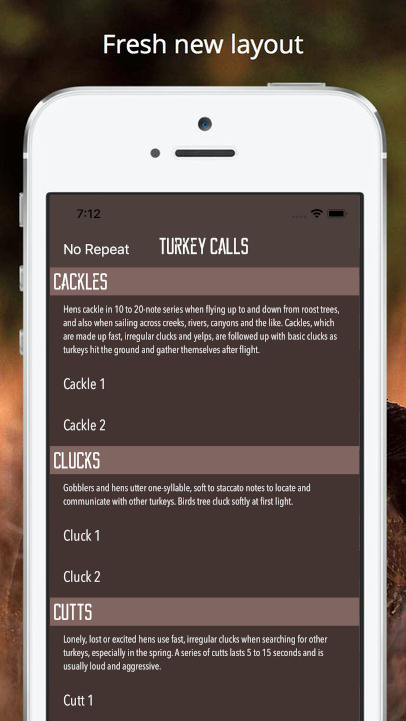 Turkey Calls - Practice those calls the easiest way possible. Looking for the simplist way to practice those calls? All the sounds are conveniently organized by call type. Each call type has a description to help better understand it's purpose. For ease, you can also repeat any given sound so that it continues endlessly until you stop it. Want more information? Contact EJSmithweb and we will try our best to answer any questions.